Ed Jenkins and Kim Dowell won't give up on the lost souls. "Not until they tell you, 'I've sold the car, and I'll never own another one again,'" said Dowell, parts manager at Everett Chevrolet-Buick-GMC in Hickory, N.C. 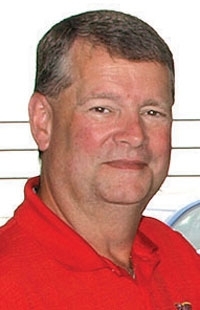 Since Dowell and service manager Jenkins were hired in 2010 to remake Everett's fixed-operations business, the dealership has sharpened its focus on customer retention and winning back the "lost souls," customers who haven't been to the dealership in more than six months. Many consumers abandon dealerships because they think service costs more than at independent shops. So Jenkins cut prices on maintenance jobs, many of which involve flat fees. He made up for it by increasing the labor rate on repairs. Jenkins also empowered advisers to side with customers in small billing disputes. "I'll lose the battle and win the war," Jenkins said. "If you have a discrepancy of $30 on an invoice, I typically take the side of we erred in some way rather than fighting it out." The dealership hired a marketing group to bring back lost customers. It combs the dealership's database and public registration data to identify potential customers, then sends e-mails and mail with discount service offers. And Everett beefed up its business-development center, whose staffers call former and potential service customers offering service discounts, scheduling maintenance visits and following up on recommended service work. When customers come in for their discounted oil changes or tire rotations, they often sign up for other repairs, too. Customer-paid repair orders were up 8 percent through April of this year, Jenkins said. Retention is up, too, he said, though exact numbers are unavailable. The dealership also is pushing tire sales with fliers placed in every vehicle that comes through the service drive and with new displays and e-mails. Tire sales are up 25 percent in the past 60 days, Jenkins said. Other initiatives include an on-site rental car program, an off-site used-car superstore with an independent repair shop and paintless dent and interior trim repair services. Fixed-operations revenue at Everett rose about 12 percent in 2010 and 16 percent in 2011, Dowell said. Profits and revenues were up 8 percent through the first four months of this year.